Matt Gillett, Associate, joined Falcon in July 2017. 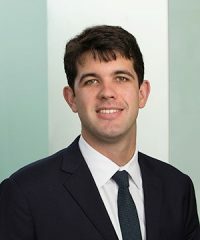 Prior to joining the firm, Matt was an analyst with Macquarie Capital, first in Melbourne, Australia and later in New York City. Matt received both his Bachelor of Commerce and Bachelor of Laws from the University of Western Australia in Perth, Australia.